Federal and state regulations require students receiving financial aid to maintain satisfactory academic progress (SAP) as defined by the institution to receive financial assistance. 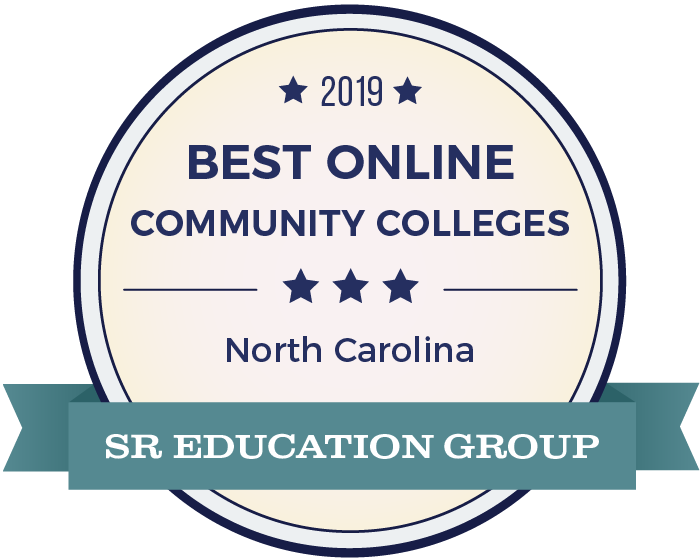 At HCC, federal student aid includes the Federal Pell Grant, Federal Supplemental Education Opportunity Grant, Federal Work Study, the North Carolina Education Lottery Scholarship, and the North Carolina Community College Grant. According to federal regulations, the school’s SAP Policy must include (1) a qualitative measure (2) a quantitative measure and (3) a maximum time frame for completion of program. These measures are cumulative and include all periods of enrollment, including transfer hours from other schools, and periods for which the student did not receive funds from Title IV programs. Students will be notified of their SAP status, based on these three standards, at the end of each semester or when they apply for financial aid. Satisfactory- Student has met or exceeded SAP standards or is in their first term at HCC. Warning- Student failed to meet one or more of the SAP standards and will be placed on financial aid warning for the following term in which they are enrolled. The student will receive a notification from the FAO notifying him/her of his/her SAP status. The student is eligible to receive financial aid for the warning semester. If the student fails to meet satisfactory requirements at the end of the warning term, the student will be placed on financial aid termination. Termination- If the student failed to meet the SAP standards for a second consecutive term (warning period), his/her financial aid will be terminated. Termination will remain in effect until 1) the student meets SAP requirements and notifies the FAO of their eligibility or 2) the student submits a SAP appeal and the appeal is granted (see “Appeal Policy and Procedures” below). Probation-by-Appeal- If a student is granted a SAP appeal, the student is placed on probation-by-appeal status. The director will outline the terms of probation in an Academic Success Plan. During the probationary period, the student will continue to recieve financial aid and cannot withdraw from or fail any classes, and must not be reported as a no-show. If the student fails to meet SAP standards or the Academic Success Plan requirements by the end of the probationary period, the student’s financial aid will be terminated. Financial aid will not be awarded to a student on termination until academic progress deficiencies have been corrected. Students who do not meet the SAP requirements for financial aid eligibility can enroll at HCC at the student’s expense in order to improve academic progress. No further appeals will be considered at this point. To appeal financial aid termination, a student must be able to demonstrate unusual/mitigating circumstances. Circumstances are defined as but not limited to: illness of the student or immediate family member, death of an immediate family member, and serious traumatic and/or life-altering events that affected the student’s ability to complete the required classes for the semester. A student must complete the Request for SAP Appeal Form. The student must provide a written statement outlining the reasons they did not maintain SAP and explain how they will be able to maintain SAP going forward. If submitting an appeal for Maximum Time Frame, a program evaluation from completed by their advisor muct be included. The appeal must be returned to the Financial Aid Office, accompanied by supporting documentation (e.g. hospital/doctor verification, death certificate, etc. ), within two weeks of termination notification. The director will review the appeal to determine, on a case-by-case basis, whether or not the appeal is justified and will notify the student of the appeal decision in writing within two weeks of receiving the appeal. Please note, academic issues are considered to be within the student’s control and are not generally considered grounds for appeal. A student, who wishes to appeal the decision of the Financial Aid Director, must submit a written appeal to the Financial Aid Office within five working days after receiving the appeal decision. This appeal will be reviewed by the Vice President of Student Services within 2 weeks and the student will be notified of their decision. Example: The program requires 75 credit hours to complete. 112 is the maximum number of credit hours that may be attempted. Grades of A, B, C, D, CE,TR, DP or P count toward hours earned. Grades of F, I, W, WF, DR and CT count toward hours attempted, but not earned hours. Remedial Course Work: Students who have been accepted into a degree-seeking program and are required to take remedial course work, as determined by placement testing, are limited to 30 semester hours of remedial coursework. These classes are calculated as hours attempted and extend the 150% time frame by the number of credit hours earned in each remedial course. Transfer Credit: All transfer credits will count towards hours attempted and completed. Repeat Courses: Courses may be repeated by students. When a course is repeated, the most recent final grade will be used to determine eligibility. The prior grade is no longer calculated into GPA, but the previous hours attempted will count toward hours attempted when reviewing completion rate and maximum time frame. Graduates: Students who graduate from an associate or diploma program and desire to return to pursue another degree will continue with their current maximum time frame. Any hours from previously completed programs will be calculated toward hours attempted and earned in the new program. Changing Majors: Changing majors may affect his/her SAP and eligibility for financial aid. Hours attempted in any previous major(s) that are not completed will count toward the number of hours attempted in the new major. Early Registration: Students who are on financial aid warning or probation-by-appeal status that choose to register early for classes may not use federal student aid until grades have been posted for the current term. The student will be responsible for payment of tuition, fees, and any other expenses until eligibility is determined.